A fond hello to our dear friends and valued customers of iTailor. This week’s much anticipated blog countdowns the top ten contendors of my Ultimate 3D must tries. Accolades have been pouring in from all over the world heralding our new look, and we would love to hear from you as well. Do send us your comments at info@itailor.com, or post, tweet or even video blog about it. We are offering an exclusive 50 GBP discount for the best review/feedback. Without further ado here’s number 5: Placket Trimming. 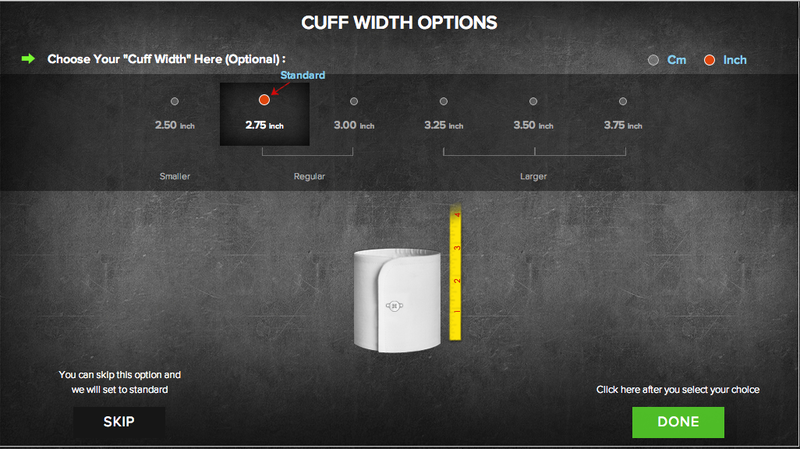 This option can be found under our ‘Front’ designing subcategory. The ‘Seam’ option must be checked to activate this feature. This may be a simple additional selection but it ranks as one of my favourite. This touch of contrast adds an element of semi-formal appeal that screams suave. And the attire combinations are countless as it can be exquisitely worn as an open collared shirt with a blazer sans-tie, or paired with a bow-tie to give you the cutting edge summer cocktail look. I’d personally design a black shirt, with a white trimming contrast and pair it with a Light Grey or Khaki iTailor pants. Backed by popular demand, this implementation was a no-brainer. This detail selection is found under our ‘Sleeves’ subcategory. 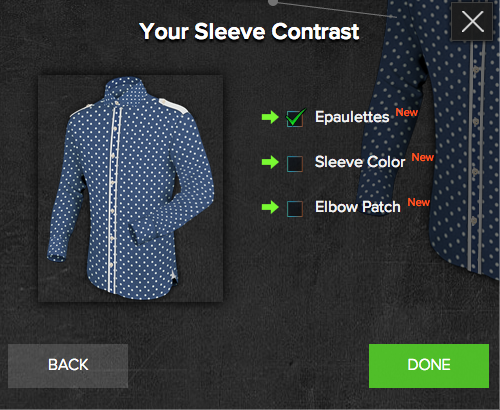 Select ‘Epaulettes’ and then proceed to Epaulette Contrast to puff out your signature custom-made shirt. Get the Top Gun soundtrack blaring in the background whilst designing this, as this is as close and cool as you get to having your very own awesome pilot-styled inspired shirt. Aviators not included. Although this feature is the hallmark of our Classic 3D and of our iTailor Brand, our Monogram option deserves special mention and ranks highly in our new Ulitmate 3D owing to its bespoke essence. 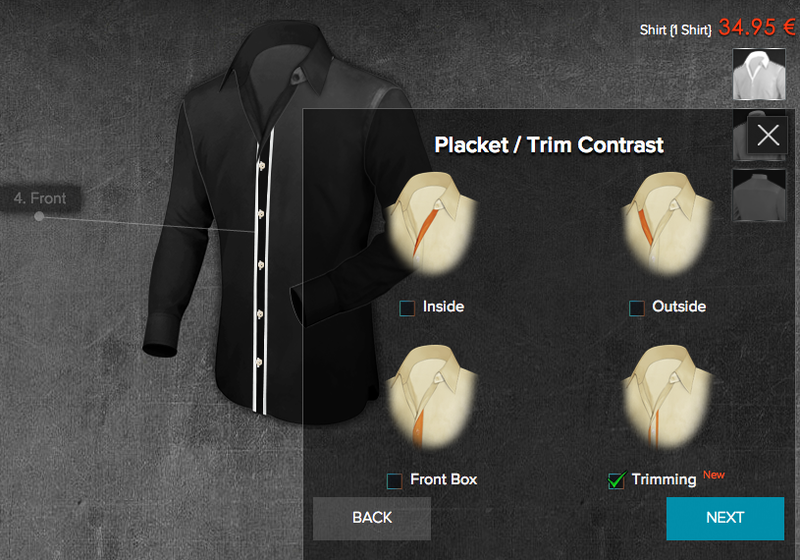 This feature truly exhibits the unique nature of custom-made, allowing you to initialise your signature on your tailor-made iTailor shirt. On a related note, did you know that not a single iTailor garment is identical as they have each been tailored individually to suit your size, and style. That is a ‘Whoa’ thought right there! 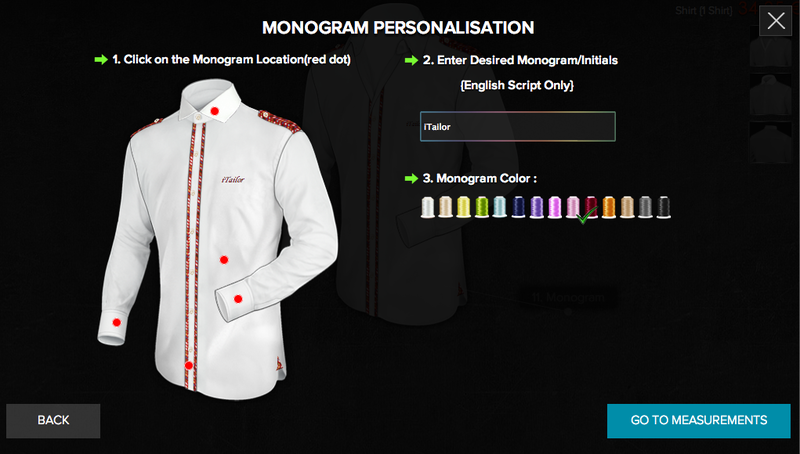 We have added more Monogram locations after surveying tens of thousands of customer feedback. We are confident that you will be throughly satisfied with these new choices. The top two features have been combined into one group as they are in theory a similar function. But what functions they are! With countless surveys, focus group testing, and 3 years in the making, this is the future of the custom-made revolution. It is well documented that global fashion icons set and determined annual fashion statements. Recently, noble houses the likes of Gucci and Hugo Boss, have streamlined their outlook to capture the minimalistic fashion trend. 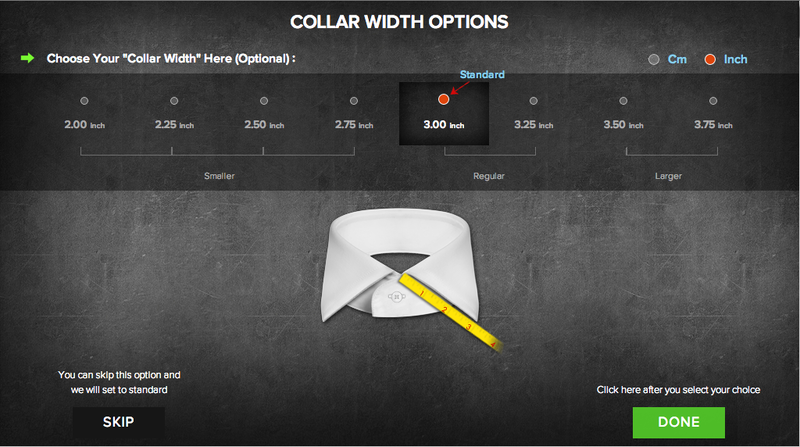 Shirt collars and cuffs, and Suit and Tuxedo lapels, have become more trimmed in width to compliment the Euro Slim Fit mode. However fashion is an evolving art not uniquely defined by any one brand alone. Recent couture statements by Zegna highlights a revert to the broad double-breasted look that so enamoured the late 80s and early 90s. What i’m trying to highlight here is best described by the great Yves Saint Laurent’s saying “Fashion fade, style is eternal” (recently posted on our Facebook page as well!). Be it the minimalistic 70s-esque inspired crisp cuts, or the more traditional fitting british stitch, the choice is ultimately yours. And custom-made, the patriarch of elegant dressing, allows you this limitless styling freedom. iTailor, with our cutting edge innovation, gives you this limitless styling freedom. And this concludes my segment on the new ultimate 3D. Be sure to subscribe to our social media sites, as well as our newsletters. 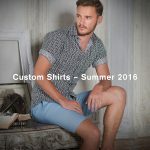 As promised in my last blog, our readers can claim an exclusive 10% discount on shirts designed on the Ultimate 3D. Simply enter the code “iTailorblog” to redeem this offer.